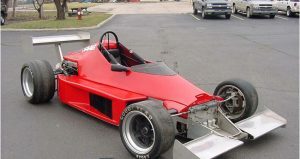 The Barber Saab Pro Series was an entry-level openwheel auto racing series. The series race primarily on road and street courses in North America, althoughthe schedule did sometimes include a few ovals. TheBarber Saab Pro Series was a spec series, in which all cars were identically prepared by Skip Barber Racing. 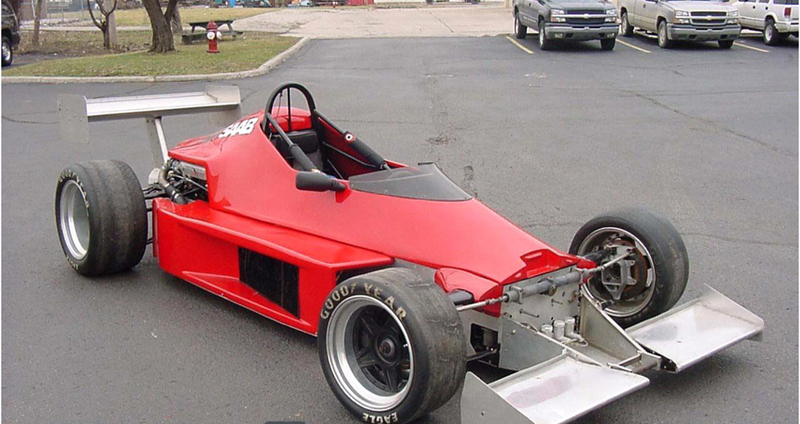 The spec car was a tube-frame Mondiale chassis (basically a Formula Ford 2000 design) powered by a Saab engine. For the seasons 1986 and 1987 the cars used street-legal racing tires, but for the 1988 season they used Goodyear Racing Eagle slicks instead. The idea was around already in 1979 as a way to get Saab involved in serious motorsports in the United States. Len Lonnegren, PR boss at Saab Cars USA, Inc., had heard that Skip Barber was planning to launch an open-wheel “spec car” race series, and that it was to run on the same IMSA programs as the GTPs and Camel Lights. Originally Skip Barber had planned on using small displacement naturally aspirated 1600 cc Dodge engines, but was talked into using turbocharged Saab engines instead. Saab provided engines and spare parts, as well as the assistance of an engineer nicknamed “Turbo Anders” who flew over from Sweden rather frequently once things got rolling. Since all the cars used Saab engines reliability was more important than high performance. The engines were basically stock 1985 cc 16 valve twincam turbo engines with an output of 225 hp. They differed from street versions in that the boost is increased, emission control systems are removed, fuel-injection settings revised and a racing exhaust fitted, together with dry-sump lubrication. By 1991 the marketing strategy at Saab changed and Saab US did little more than provide the engines.